Your little one will love creating their own amazing adventures as they zip around and explore their imagination with this motorised Chad Valley Road Rippers Double Decker Bus. Inspired by those moving to and fro around the streets of London, this Chad Valley bus has working lights as well as buttons which your most cherished will press with glee when they realise they play music, engine sounds and a horn (you can let people know you've pulled up at the bus stop in case they're not paying attention!). A fantastic toy for zooming around an imaginary town providing stimulating interactive creative fun. Size H15.24, W30.48, D12.7cm. 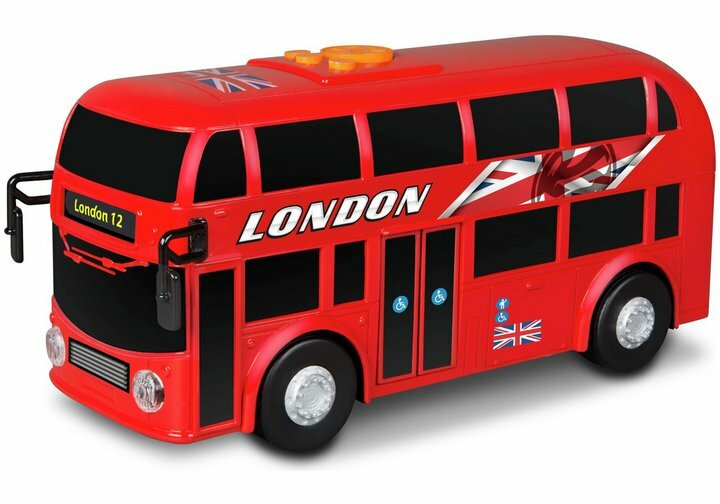 Get money off with April 2019 free Argos voucher codes, see if there's a promo code for the Chad Valley Road Rippers Double Decker Bus product. Argos may be out of stock of this product. To enhance your shopping experience you may also be redirected to a search results page when you click an outbound link.